Summer is quickly approaching! And to say my skin looks more ready for an Alaskan vacation than a trip to the Bahamas would be an understatement. Aside from the pale factor, I also struggle with dehydrated itchy skin. 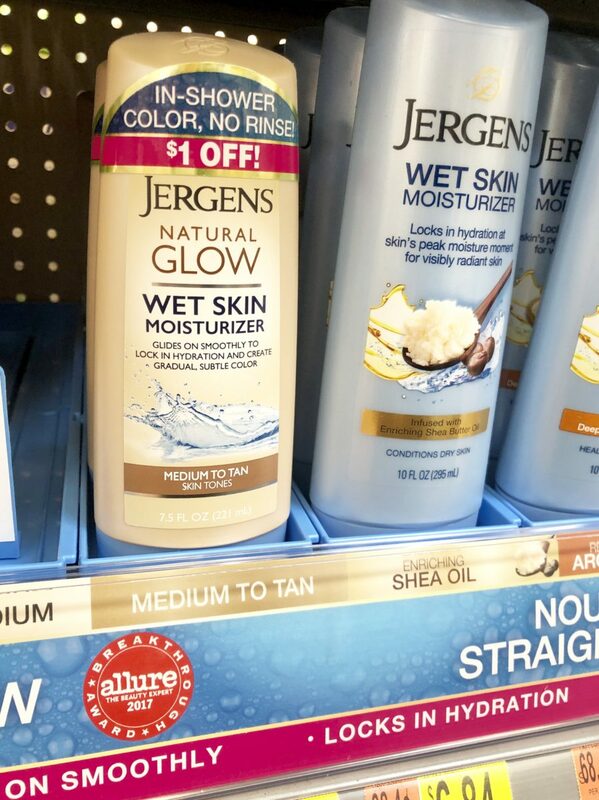 So the Jergens Natural Glow Wet Skin Moisturizer Medium to Tan, now available at Walmart, had me intrigued. You can either buy it online OR in the lotion aisle at Walmart! 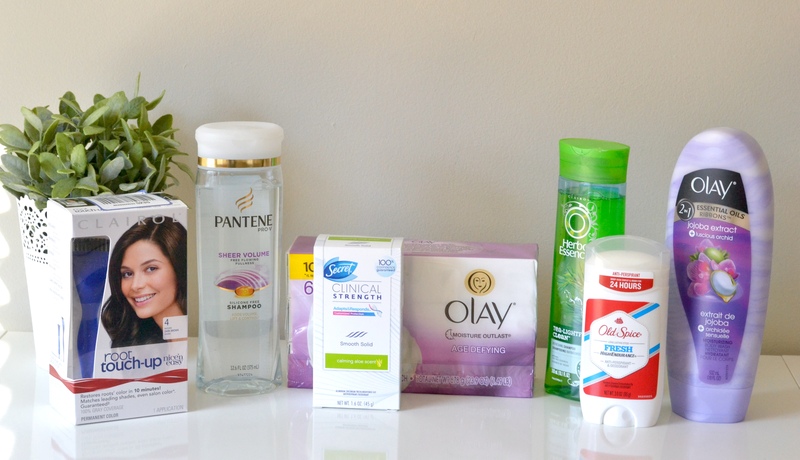 If you’re like me, winter does a doozy on your skin. No sunshine, lots of clothing layers, indoor heaters, and hot water all eventually dry out your skin. 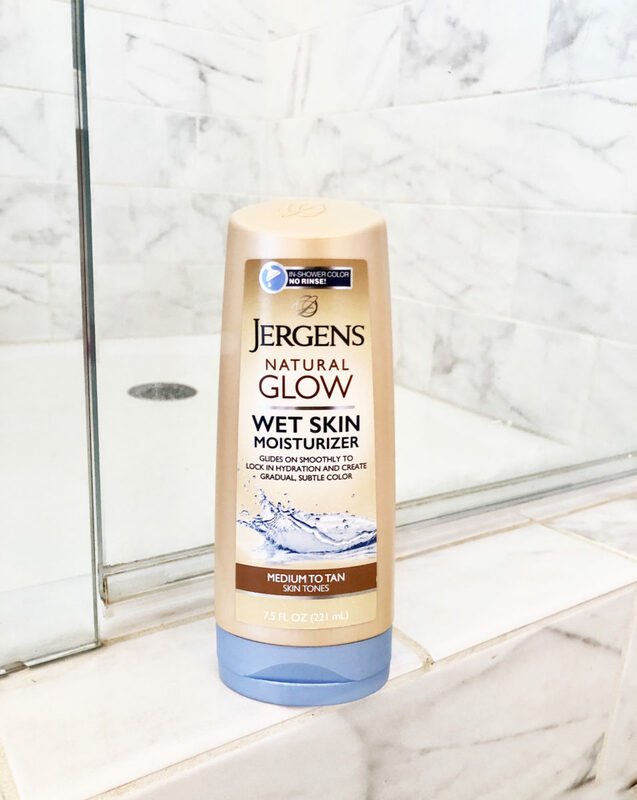 This Jergens Wet Skin Moisturizer is meant to combat all that “drying out” by encouraging you to use it right after you shower so that you can LOCK IN that moisture when your skin is most receptive to being hydrated. 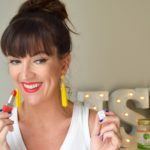 With the added bonus of a healthy looking glow to your skin! When your skin is wet and you apply this product to your wet skin, the scary dry patches don’t exist. You know, the ones that soak up too much color and leave you splotchy?? Which means you will get more even color development! 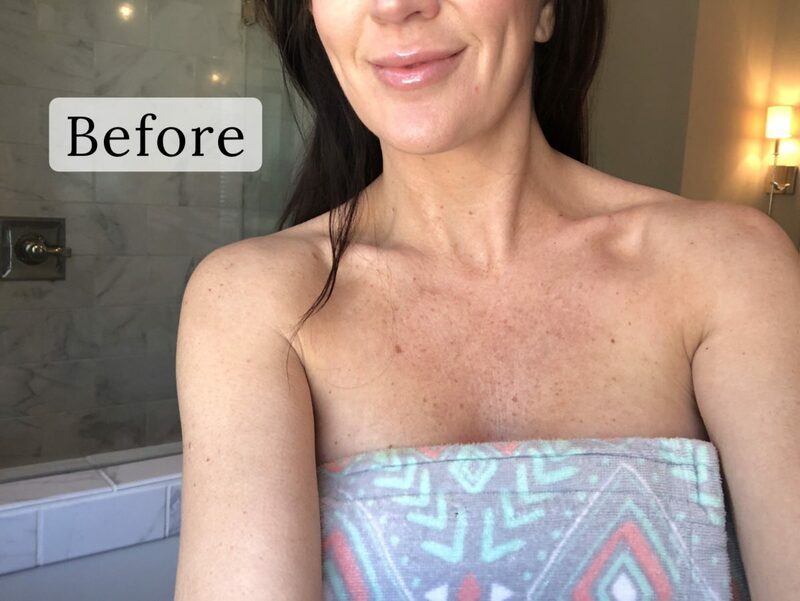 Right off the bat, if you’re looking for a self tanning product that gives immediate drastic color change, this is NOT the product for you. 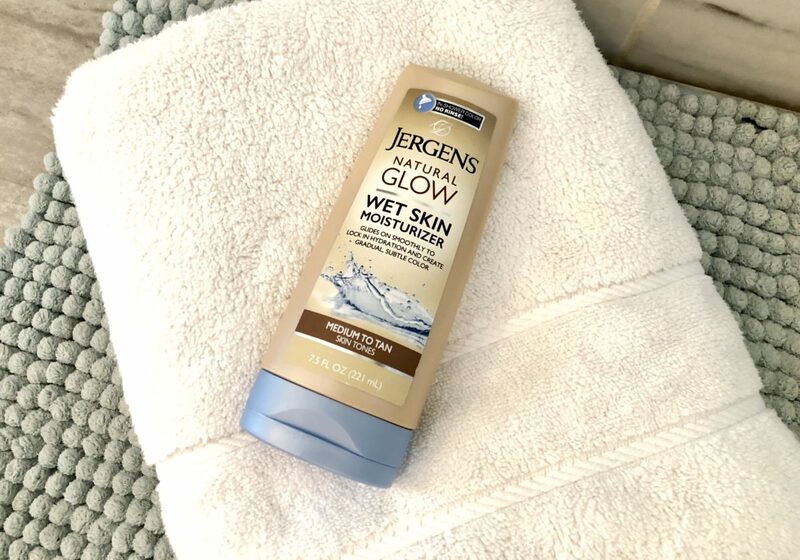 The Jergens Natural Glow is for anyone that wants an easy, gradual, and super-natural looking warm skin change. With my paler legs and arms that haven’t seen the sun in months, I didn’t want a super fake color change. So this product sounded perfect for me. 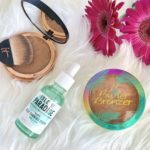 After reading product reviews, I noticed that the medium-tan shade would be the way to go for enough color change. 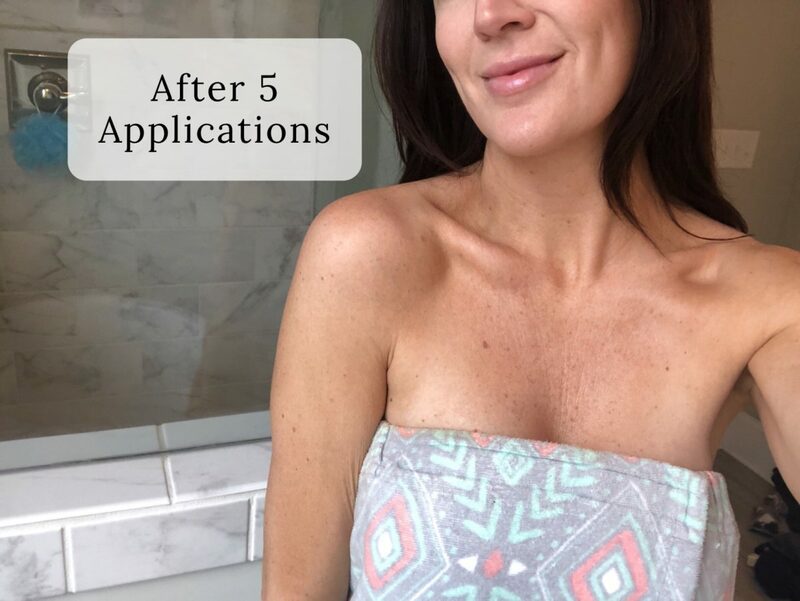 Exfoliating before any sort of moisturizing or self tanning is key for even distribution. I used a loofah in the shower with my body soap to make sure my skin was nice and exfoliated prior to use. After showering, I turned the water OFF while staying in the shower. I took my bare hands and literally rubbed my arms, legs, and chest down to knock off a bit of the excess water. 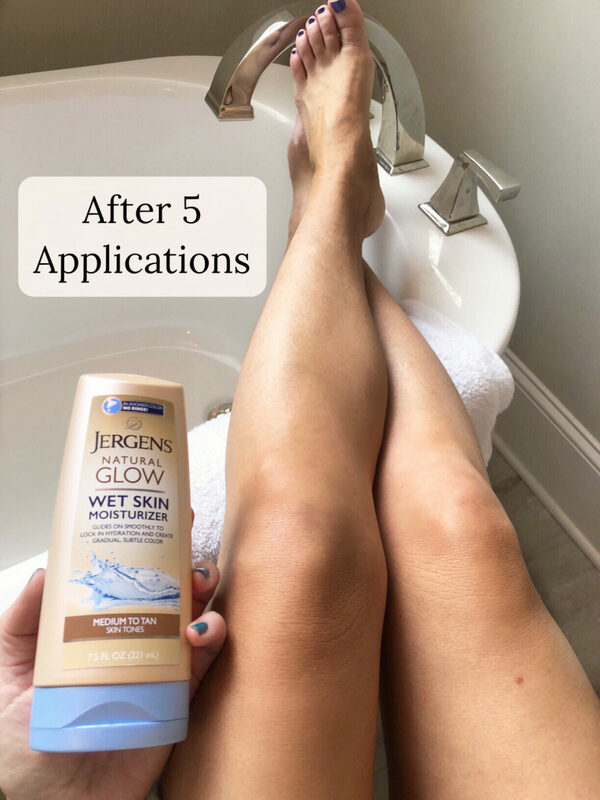 Then, I took the Jergens Natural Glow and rubbed in a quarter sized amount of the moisturizer for my arms and chest and a bit more than that for my legs. 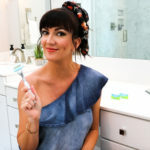 No rinsing afterward; just use your bath towel to pat down your skin, then you can immediately get dressed! No wait time! 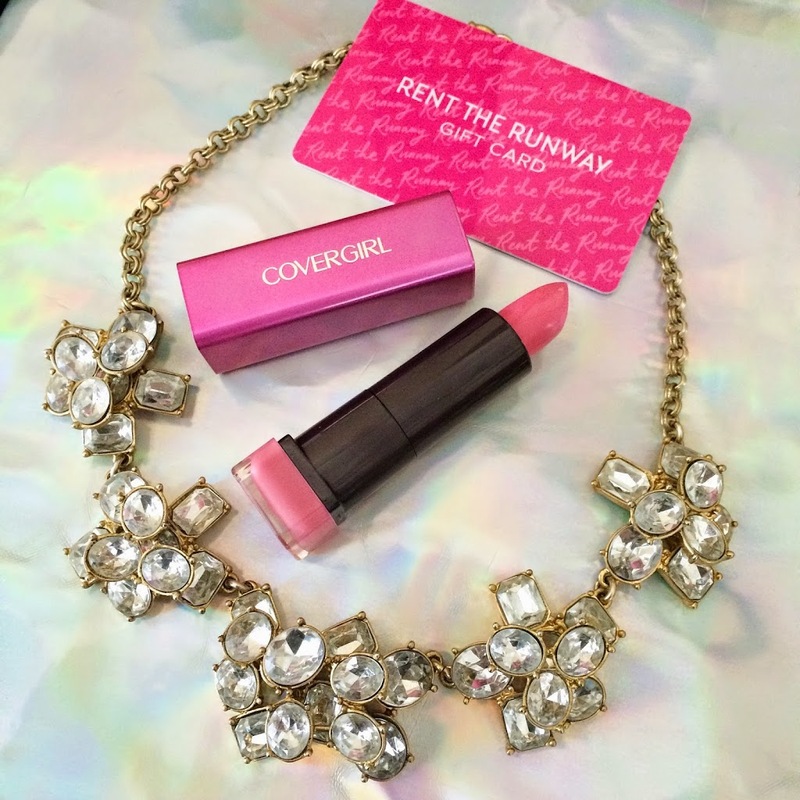 Bonus – this stuff has the lightest, barely noticeable scent that is warm and fresh—so it doesn’t compete with my perfume! How soon did I notice a change? 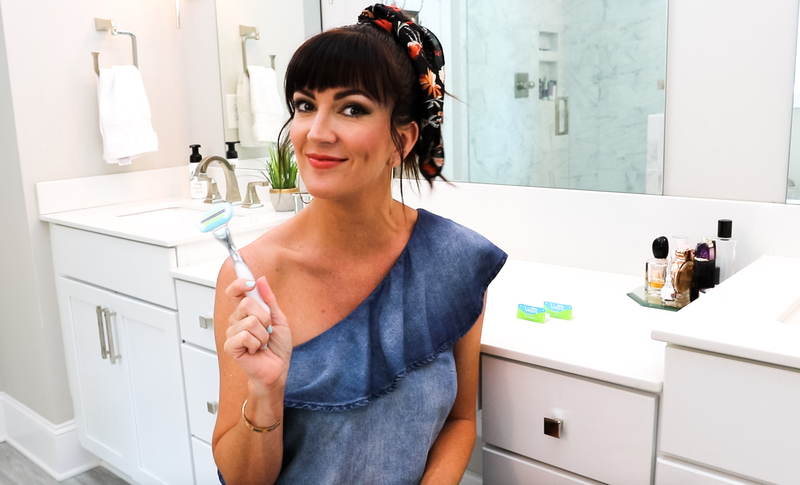 Around the 3rd use, I could tell my skin felt so much softer and smoother from taking time to moisturize in the shower. Then after the 5th use, I felt I had that warm glow I had been looking for! If you’re not used to doing this, like I wasn’t, I promise it’s a skin texture game changer for sure. Once you get the desired color, it says you can skip to every other day to maintain the color. 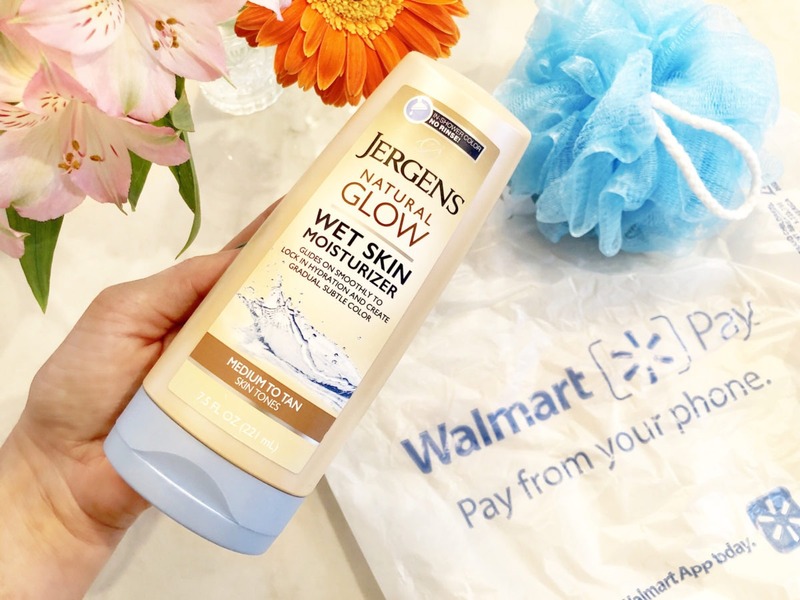 So, next time you’re at Walmart and you’re thinking about easing your skin into that swimsuit, tank top, or shorts, be sure to add this Jergens Natural Glow Wet Skin Moisturizer to your cart!